Like any story involving time travel, the plot of the Back To The Future trilogy gets pretty complicated. During Marty McFly and Doc Brown’s temporal travels they visit three separate eras of Hill Valley, encounter their own doppelgängers, and alter history in numerous ways. However, that’s just scratching the surface of how complex BTTF really gets. According to Doc Brown, every time the past is changed it actually branches off an entirely new parallel universe! Some of these alternate realities only briefly exist before the DeLorean gets used again and erases them from history. Fortunately for us, one amazing Back To The Future superfan put together this informative chart that illustrates the many timelines that occur throughout the series. Wow! You’ll have a whole new appreciation for BTTF next time you watch the films. 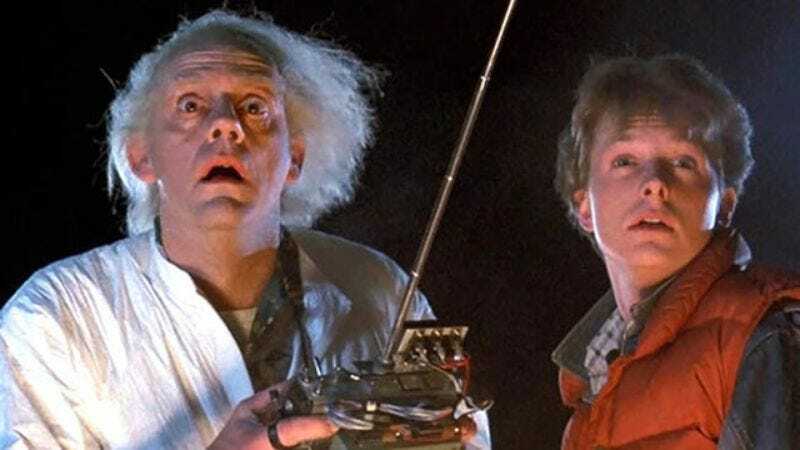 After seeing all these timelines laid out, you have to give screenwriters Robert Zemeckis and Bob Gale credit for crafting maybe the best time-travel story ever written, and this totally amazing fan for putting it all in this kickass chart!